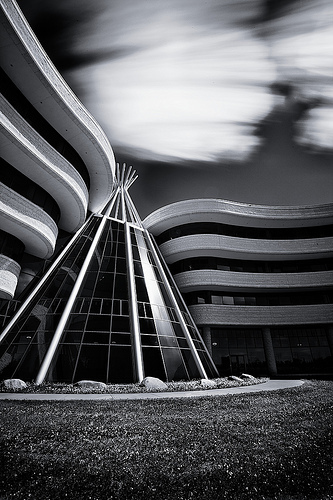 Is Saskatchewan applying a double-standard against First Nations University of Canada? With all due respect to the criticisms leveled against those who have seemingly run the First Nations University of Canada into the ground, there are those who suggest the province is itself no stranger to such secrecy and opacity. A 2007 report to the McCall Review identified the University of Saskatchewan, which receives more than $80 million [i.e., just over 15 times what it’s given FNUC] in operating funds from government, as having “the most secretive and non-transparent board of governors in Canada” and criticized the board for not making agendas, minutes and comprehensive financial information available for public scrutiny. The letter goes on to reiterate others’ criticisms of the civic administrations of Regina and Saskatoon, as well as the province itself, for their less-than-forthcoming approaches to governance and citizens’ access to information. Of course, none of this excuses what has been done in FNUC’s case, but none of these operations faces imminent shut down either. Cut slack to one, and perhaps you should cut slack to them all. The point is to be consistent across the board, lest the province open itself up to accusations of racism and double-standards. I leave you to judge. UPDATE: So, it is with some embarrassment and a mouth full of humble pie that I must include an addendum to this post. Turns out I got sloppy and misread the letter by attributing the “most secretive and non-transparent board of governors in Canada” line to the McCall report itself when I should have used my brain and realized such a provocative and inflammatory line was highly unlikely to have come from a report commissioned and released by the province. Chris Gallaway’s letter actually says that the statement was made in a report TO [and not by] the 2007 McCall Review. I googled Mr. Gallaway — he is a longtime representative in the provincial Young New Democrats and a student at the University of Saskatchewan. The provincial New Democrats lost power to the Saskatchewan Party in November 2007, shortly after the McCall Review was published. In public discussions like this, I want everyone to declare their interest. Chris Gallaway’s letter to the Star-Phoenix does NOT say that he is a student at the university he is criticizing. It does NOT say that he is an active member of the Opposition Party. And it does NOT say how he was able to quote text from a document that does not appear anywhere in the McCall Review. … [P]eople who make public statements should state their OWN interest in the matter that they are speaking about. They may feel that it reduces the impact of their statement … but it hugely increases their credibility. My friend is right on the money, and I very much blew it here. I regret the truly bush-league error, but I am grateful for friends whose brains work when mine doesn’t. hey…i was dismayed to read your follow-up to Chris Galloway's letter to the editor. I think living in a democracy allows us freedom of expression no matter who we are. We also have freedom of association. I am a member of a political party because i have ideas about the society i want to live in and I have found that being involved in a political party is a great place to find like-minded people. i hate the idea that people can use this to silence me and my ideas. no wonder political parties and democratic participation are not a viable option for many people. Furthermore, i wonder how would i decided how many interests i am supposed to add-in before writing a letter to the editor. besides, the editor edits the letter before it is reprinted. arrrrggghhh. Soooooo,,,,let us stick to analyzing content, not the people who express the comments. 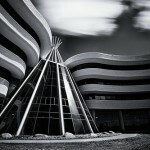 I still behind the fact there is a double standard here between how the SK governments treat First Nations university. Accountability standards and practices should apply to everyone. I felt I should reply in hopes of clarifying my letter if there was any confusion. As the anonymous reader properly clarified for the blog writer, my letter referred to a submission TO the McCall Review, and was not quoting from the review document. It is actually a quote that was used around the U of S campus a lot during the CUPE strike in 2007 and would likely be remembered by many staff and students on campus. It is an observation that has been made by various local and national student and faculty associations through their research on Canadian Universities. – I am no longer a student at the U of S, and haven't been actively taking courses for a long time. My only personal 'interest' in the operations of the U of S are as a community member, Saskatchewan citizen and tax payer (who's money funds this public institution). – All submissions made to the McCall Review, as well as the Department's literature summary before the review, the interim & final reports and all community forum notes, were public information during and after the McCall Review happened. I happen to still have all of it archived on my computer from when the review was going on and I'm sure one could request copies from the department and still get them if they wanted. – I am currently active in the NDP and have made no secret about that. I even stood publicly as a candidate in 2007 (largely because of the great experience working with the McCall review and its contents) and as the reader said, a quick googling tells one I've been involved with the NDP within seconds. I was not writing on behalf of the NDP or stating their party position on FNUC, heck I'm sure many would be unhappy with my letter… While the NDP was in government I was part of organizing many campaigns and protests calling on the Government to take action on different issues… so I'm unsure what a party membership would have to do with debating the future of FNUC. I don't believe that holding a membership in a political party bans one from speaking up about issues that concern them, especially ones where they might have knowledge to contribute to the discussion. Unfortunately in the restrictive format of a 250 word letter to the editor I could obviously not provide a full biography of myself or a summary of everything submitted to the McCall Review in 2006/07. It was merely to spark discussion and raise my very serious concerns over the handling of the future of FNUC, concerns that unfortunately still exist today. I would say, similar to when reading a news article, the onus is on those reading a letter to find out more in-depth information if they're interested in the writer's points – something I'm more than willing to help with or speak publicly about. I'm unsure how the personal points about me effect the serious points I raised in the letter, but if one did want to focus on my bio and interests, I'd see my years of research and experiences – working as an employee of S.E.S.D. at the U of S, being an elected member of the USSU Council, being the provincial organizer for the Canadian Federation of Students (working daily on the McCall review as it happened), as a Post Secondary Education policy writer for the CCPA-Sask alternative budget and as a member of the Concerned Academics group which submitted a report (which I publicly signed on to) about our concerns around U of S accountability both publicly and to the Board of Governors – as more important biographical information than a membership in a political party. All of these things also show up from a quick googling. It's also interesting that the ironically anonymous commenter doesn't question what I hope to gain from, or my personal 'interest' in the continued funding of FNUC. They just question the motives of my criticisms of the problems I see at the U of S and ignore the issue of supporting FNUC. As a privileged young white male in Saskatchewan I felt it was important to add my voice to a public debate with an increasingly racist tone, in an increasingly racist province. FNUC is not somewhere I will ever attend or work for, but merely an institution I feel is a vital part of our province now and into the future. So I suppose my personal interest in the situation is a society which contains well educated First Nations youth who's cultures and treaty rights are respected by their provincial and federal governments? I know this is a long comment, but hopefully it answers some questions and concerns that were raised. P.S. I've really enjoyed reading the content on your site! Chris, thanks for your comments! Keep them coming. If you ever find an electronic version of that report sent *to* the McCall Review it would be great to share its arguments for greater accountability so as to compare them against those critiques of FNUC. Once again, thanks for your comments and for letting us know some more about where you're coming from as a former student and one-time NDP candidate. The points raised by Mr. Gallaway and Prof. Free are so important that I would like to offer my own comments. My name's Sandy Beeman. I'm a supporter of the principles behind the First Nations University of Canada, and I look forward to the FNUC's re-establishing itself among the post-secondary colleges and universities of Canada. I've known Rick Harp since 2000, and am also a Facebook friend of his. I was astonished when I read Rick's item that the McCall review had called the University of Saskatchewan's board of governors “the most secretive and non-transparent in Canada”. So I checked the links, and offered comments on his Facebook page, of which some are excerpted above. My comments on Rick's Facebook page appeared signed with my own name. I'd like to apologize to Mr. Gallaway, who, referring to my comments, said “They just question the motives of my criticisms of the problems I see at the U of S and ignore the issue of supporting FNUC.” His interpretation is fair, given what is excerpted above. But it's not what I meant. I now live in Europe, and am used to newspapers adding a line after letters to the editor identifying public and semi-public personalities, e.g., “Ms. Smith represented the Liberal Democrats in the 2003 election in the constituency of Brighton.” I'm also partial to the increasingly wide use of “full disclosure” by journalists, declaring their relationship to the issue about which they are writing. I see a lot of it in the New York Times and The Atlantic magazine. I respect it as a sound practice that prevents “ad hominem” arguments before they begin. Mr. Gallaway also points out that he is not a student at the University of Saskatchewan. His Facebook page, which I reached through Google, lists “University of Saskatchewan 2011”, and this was the source of my error. Including these statements would have more accurately represented my tone … and also made Rick's follow-up statement so long as to be unmanageable. Was it right to exclude them? I cannot tell … but Rick’s decision is probably the decision I would have made myself, if I had been in his shoes. I would also like to comment on Prof. Free's remarks on freedom of association and freedom of expression. I don't want police officers to be members of racist organizations. I think allowing them to do so would call into question their desire to execute their functions properly. This means that I support some limits to freedom of association. Similarly, freedom of expression in many countries is limited by hate speech laws. These laws, if enforced, would have stopped the radio diatribes that fanned the flames of violence in Rwanda, saving uncounted lives. So I support this kind of limitation to freedom of expression too. I think I will stop here. But I would like to express my appreciation to Mr. Gallaway and to Prof. Free for their illuminating comments, and to Rick Harp for hosting this debate on MediaIndigena.